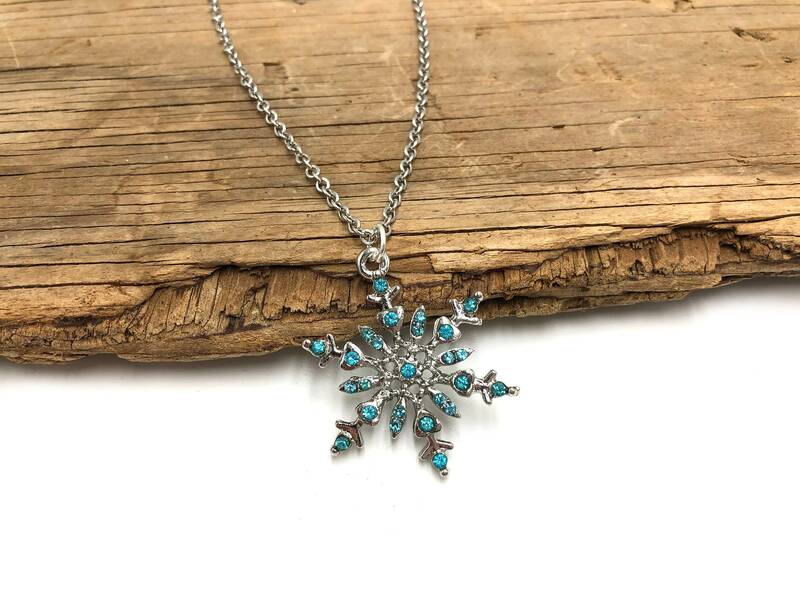 The Snowflake necklace is 14 inches long with a 5 inch soldered extender chain. Lead and nickel free. Stainless steel chain. Amazing item, as always! Fast shipping and excellent packaging.